An air conditioner that freezes up in the middle of summer can be a frustration. Right in the middle of summer’s hottest weather and your AC unit is an ice cube? Believe it or not, this is a common issue. Bradford AC repair technicians see it all the time. Although not uncommon, it is important to address the issue as soon as possible. A unit that is freezing up can become severely damaged. Your AC works when the evaporator coil expands with refrigerant, so when the coil comes into contact with the air that blows over it, the refrigerant absorbs the heat from the air. The warmer refrigerant then becomes compressed and transfers the heat inside your home back outside. This cycle is repeated over and over. It’s a basic concept of expansion and compression that enables your air conditioner to cool the air in your home and remove the warm air. This, simply, is Bradford air conditioner repair 101. When your AC is freezing up, it is because something is causing the refrigerant to expand more than it is supposed to or something inside your home is preventing the warm air in your home from moving its heat outward. In either case, your evaporator coil will react by dropping below freezing and causing the freeze up you are seeing. When the airflow is restricted, there isn’t a sufficient amount of air moving through the system to keep the accumulation of condensate on the evaporator coil from freezing. The offender here is often a blocked air filter. A dirty air filter is one of the most common, and most easily remedied, problems with an AC system. Make sure you inspect your filter every month and change as often as needed, usually once every three months. This will help alleviate the airflow problem. When your AC has frozen up, switch it off to allow for defrosting of the unit. Turn on your AC’s fan and allow it to run for 60 to 90 minutes. While this is happening, change your filter. Once this is all done, you should be able to turn your system back on. If you have ruled out airflow as the problem, the other common cause of freezing up is a leak of the refrigerant. This is not a fix for the home handyman as your refrigerant can be a dangerous substance. If you suspect a leak, immediately contact a Bradford air conditioner repair professional to repair your unit. 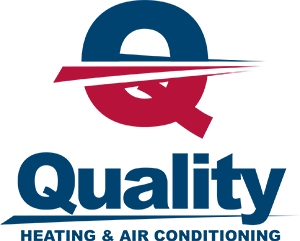 If you are in need of an AC repair professional in Bradford, call the experts at Quality Heating & Air Conditioning. 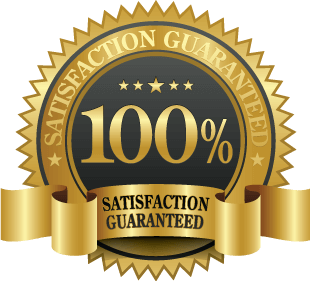 Serving the GTA for many years, we have the experience and expertise to fix any problem you may be having.